Do you ever feel that when you start researching a problem, the more you dig into it, the more complicated it becomes? For example, type your problem into Google and what do you get? Only about 2.5 million hits! Granted, you’re a problem-solver, but you don’t always want to jump straight from the problem to the solution. Sometimes you want to explore the problem further to get a better grip on it, or you want to research how the problem really affects you. In other words, it’s not quite time to be looking into solutions. It’s for this reason that when you design your company’s document strategy, you should keep problem-detection separate from solution-creation. In this blog post, I’ll discuss how to find and analyze those problems that invariably arise during the document strategy process. As in the past, I’ll rely on Designing a Document Strategy, the influential book by Kevin Craine. To help uncover problems with key documents, Craine recommends that you use flow charts. (Here we pause a moment to enjoy the aptness of documenting documents with a document.) For each key document, create a flow chart that illustrates its entire life cycle. Make sure that you capture all of the major tasks, actions, and events. Craine recommends flow charting as an excellent way to see the “larger environment.” Without this big picture, you might see a problem as an isolated incident and be tempted to adopt a quick fix or two. Avoid quick fixes at all cost – it’s what got your company’s documents into such a mess in the first place! You now have the steps of the document process clearly defined. But what do you really expect out of these documents? Have you written down exactly what is expected of them? If you don’t have clear expectations, you won’t be able to demonstrate that your document strategy efforts have resulted in any improvements. How does each key document need to perform in order to help your company succeed? How does each key document affect the “hard numbers” used to quantify company performance? How does each key document provide value to your company (as opposed to being a liability)? How Do Those Key Documents Measure Up to Expectations? Now that you have expectations clearly defined for each key document, you need to figure out a way to measure the performance of each document process. It’s vital to have these process measures in place to ensure that you make decisions based on facts and not opinions. Craine recommends that you use the flow chart as a guide to place measures at key points of the document process. You can then “weigh” the measurements against the expectations. Craine stresses that the data you collect must link to your company’s objectives, be measurable, and be easy to understand. Another helpful tip: Collecting data over a period of time will help explain any seasonal fluctuations or other misleading clues. 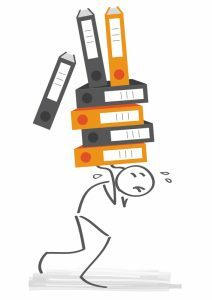 Although creating process measures and collecting data might seem like dull work, it’s truly necessary to fully understand the problems in your document processes. Only when you have a firm grasp on those problems will you be able to find the right solutions. In the next blog post, I’ll go over Craine’s method for determining the causes of those pesky problems as well as his method for brainstorming and selecting solutions.